American Pro is a new book published, written by Jamie Smith, that documents putting together the Astellas cycling team by Matt Curin. Starting with Matt's passion for cycling and wanting to start another cycling team, to finding a sponsor, putting together a modest developmental elite team that turned into a domestic pro team racing a double schedule, and finally until the all to familiar end when the sponsor pulls the plug. I was fortunate enough to be on the Astellas team for 3 out of the 5 years and there pretty much from the beginning. Reading the book brought up some great memories, but also some tough times. Same can be said from reading Phil Gaimon's book Pro Cycling on $10 a day which I made a few cameos in since we were teammates. But it all made me realized I had some fun stories and pictures I'd like to share. I know of at least 4 people that would totally be into it. Maybe more along the way. It would make sense to start at the beginning, but with American Pro just coming out I think it would be a great time to start there. So as you are reading you can come back to find another story, detail or pictures that couldn't quite make the cut due to limit on book length and cost of printing pictures in a book. I'll try to make it the Throwback Thursday post. My first time hearing of Matt Curin was when he ran his Detrol LA team. You can read more about why Detrol LA was a sponsor of a race team in the book. American Pro which besides taking about Astellas does a good job of explaining how a team finds a sponsor and how racing in America works. But as a kid I raced against this junior, Nathanael Ksiazkiewicz, in just about every race in Michigan and he was on that team as an Espoir, what they use to call U23. Nathanael traveled with my Dad, myself and occasionally my brother when he still raced to races such as Tour De FCCC (juniors only stage race), USA Cycling regional camps and Nationals. As a junior I may have beat him once. 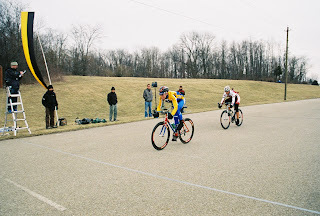 One day he even showed up just as the race was starting and asked us not to attack as he didn't get to warm up, but I rode away right away anyways until he caught a few laps before the finish. To be fair I probably didn't warm up either. He did everything by the book and I was still in the being a bike racer only from the start to finish of a race. 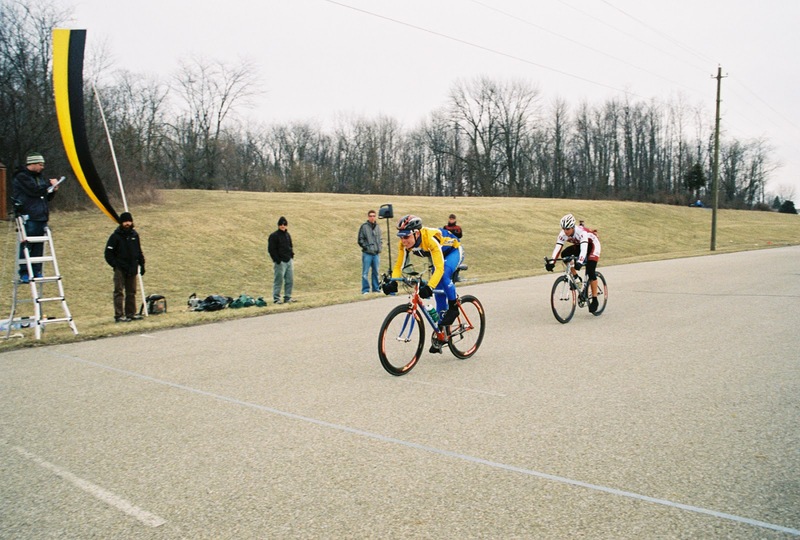 Side note the year Nathanael raced on Matt's team was the first time I heard of this big stage race out east called Fitchburg Longsjo. They had completed it and he was telling me how hard it was, particularly the finishing climb on stage 3. I completed it the following year finishing somewhere in the 90's, a year later something in the 40's and Nathanael was really impressed, and the year after that some how finished 11th on that particular stage. A few years later I would win the overall in that race. Another story for another time. So back to meeting Matt Curin, or being introduced to him. I was plugging away being a mediocre, which is putting it politely, bike racer and in 2001 on the schedule was a UCI Espoir Race in Elgin, a suburb of Chicago, The Four Bridges of Elgin. They needed riders under 23 to join them for the race. Well I was invited to do it with them. I don't remember much about it other than I believe it rained at some point and I was dropped, but raced (rode) unit they pulled me off the course. Half of the racers didn't finish either, but I stayed out as long as they allowed. Looking back at results and I have to say there were some pretty good names up there! One of the things I got the biggest kick out of was joining these pro teams through the years and hearing stories from the guys who were in contention to win these junior and U23 races while I was just surviving at best. They'd be talking about who did what, attacked where, won this or that and I'd be like oh so that's how that went. But now I was right there with them in the races and competing for the wins. Andrew Frey, who was helping put together this Astellas Cycling Team, I knew from collegiate racing. He was the official at most of the races from my time racing with Marian. I also knew him through other kids I raced with from Ohio Mike House and Mike Busa. 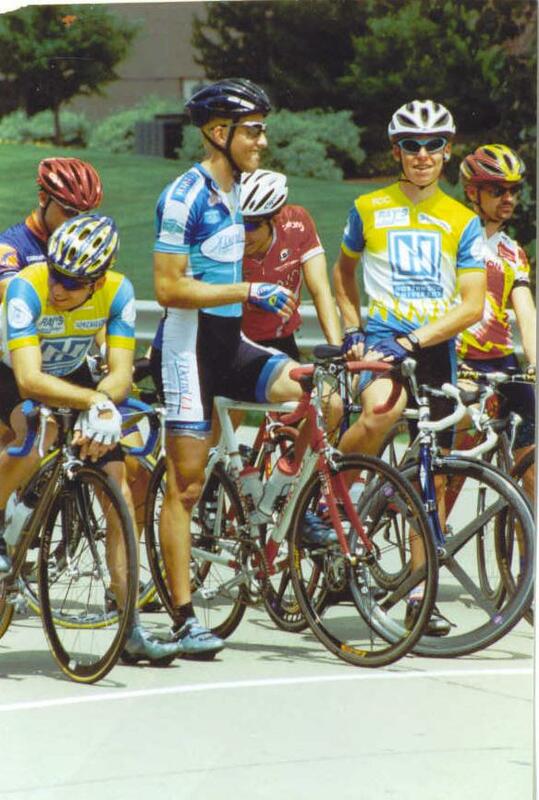 Back to the glory days of the Tour of Southeast Ohio. One of the neatest multi day races in the US. 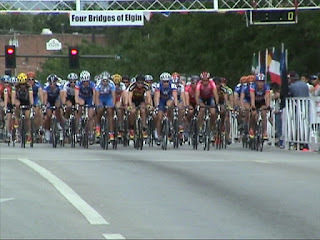 A mix of criteriums and short hilly road races. Racing for Marian. Andrew Frey officiating from the ladder. Matt called me up in the fall of 2011 asking my plan for the 2012 season and I really didn't have a plan. He mentioned what he and Andrew were trying to do and it sounded like a great opportunity.